If Taco Tuesday isn’t enough to make you happy, did you know there is also a National Taco Day?!? October 4th is National Taco Day and my new favorite day of the year! 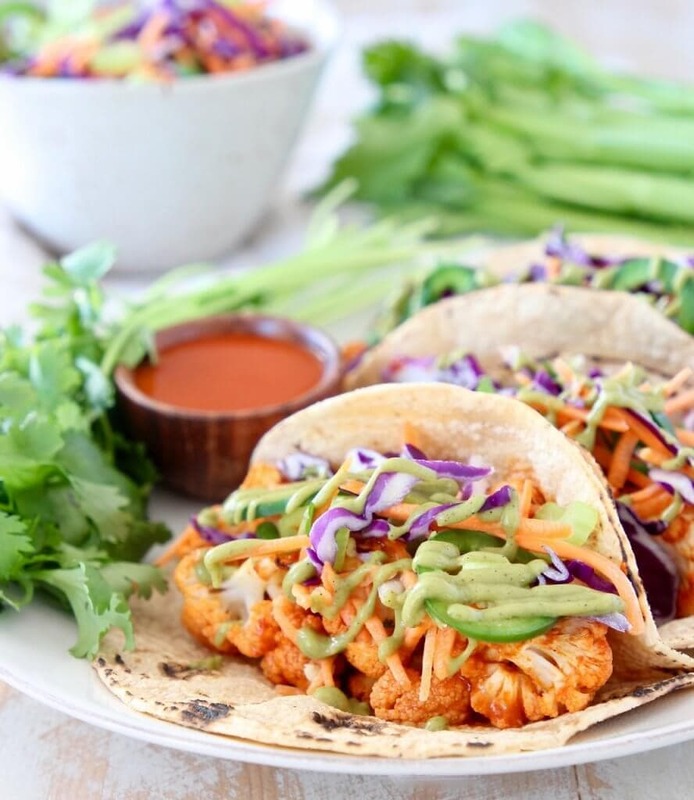 I’m celebrating with these Cajun Chicken Street Tacos! 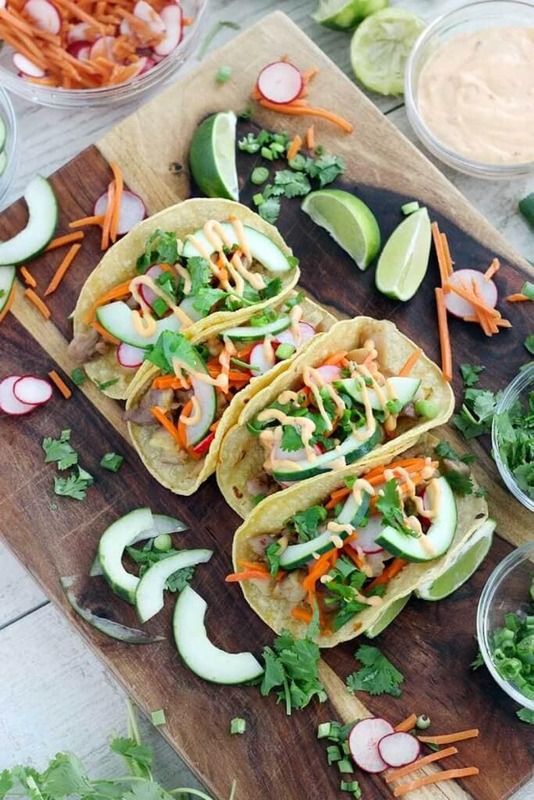 A few blogger friends and I decided we’d share new taco recipes with you today to celebrate our excitement over National Taco Day. 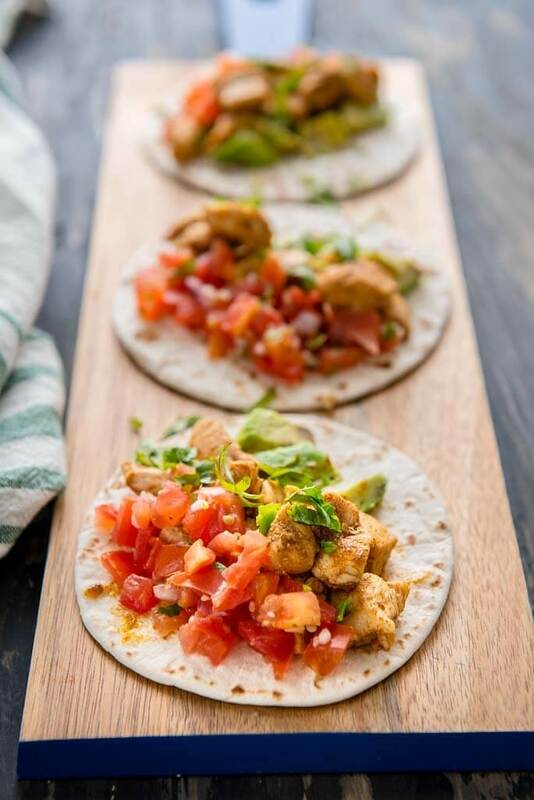 I’m sharing my newest recipe first, Cajun Chicken Street Tacos… but make sure to scroll down to check out some amazing taco recipes you will want to make ASAP! 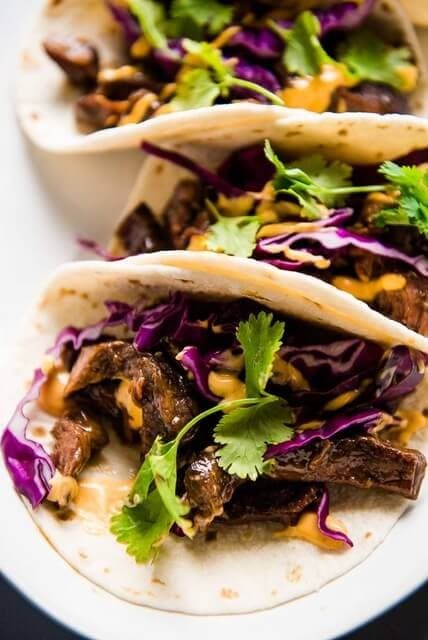 This recipe is super easy, and I decided to do street tacos because they are fun! 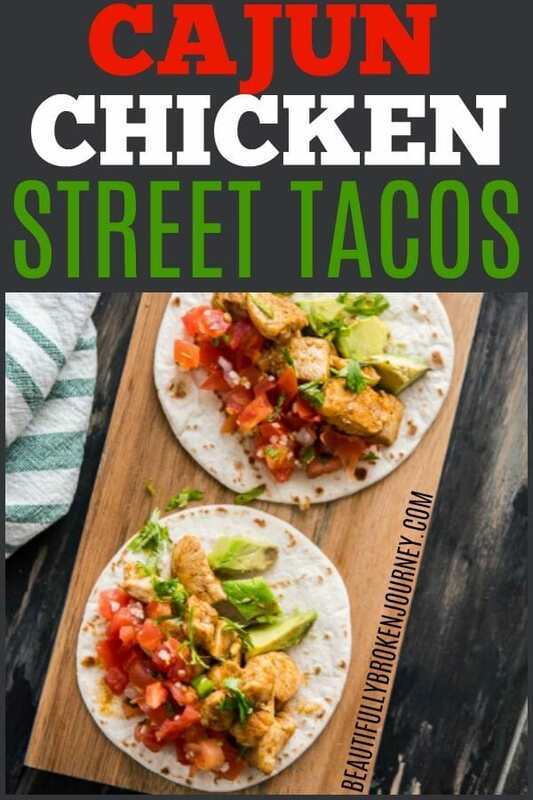 What is a street taco? 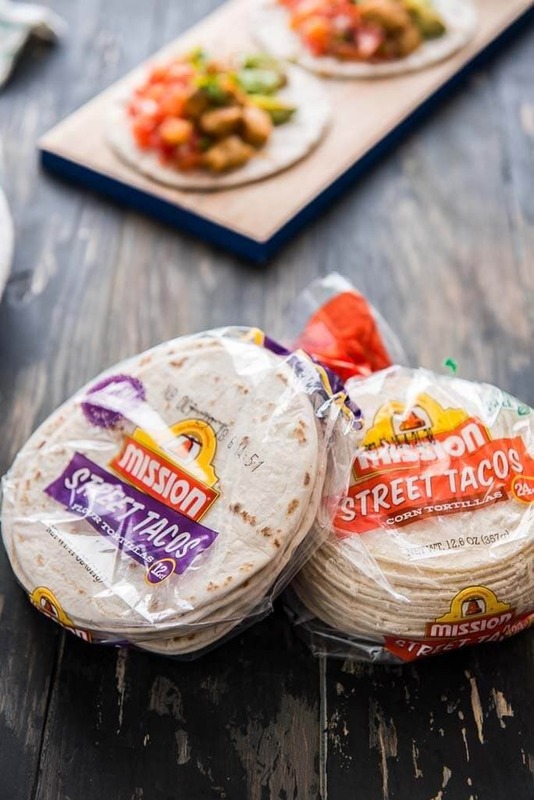 Street tacos are usually much smaller than the typical “American” taco and is also on soft corn tortillas, usually there are 2 corn tortillas per street taco. I’ve seen them filled with chicken, pork, beef, shrimp, etc. Basically, my version of a street taco is a simple small taco with minimal toppings, though you can add whatever you’d like. For my recipe I kept it simple. I wanted a quick, easy recipe that could be on the dinner table in less than 20 minutes and this was perfect. No more excuses for an unsatisfying meal when it can be this easy to make! I cooked the chicken in my cast iron skillet, added the seasoning and viola… dinner was served! Not to mention these awesome little street taco shells that I found at the grocery store! Even though street tacos are typically on a corn tortilla, I prefer flour tortillas so I served mine on these. If you are looking for a great side dish for this recipe try my Healthy Mexican Cauliflower Rice… I promise it won’t disappoint! If you want to be more “traditional” try it on a soft corn tortilla, or if you just love flour tortillas like me, they are yummy, too. Here are some other amazing recipes for you to check out from my blogger friends! 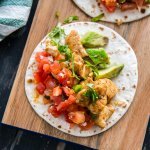 These Cajun Chicken Street Tacos are super easy to make and can be on the table in 20 minutes or less! 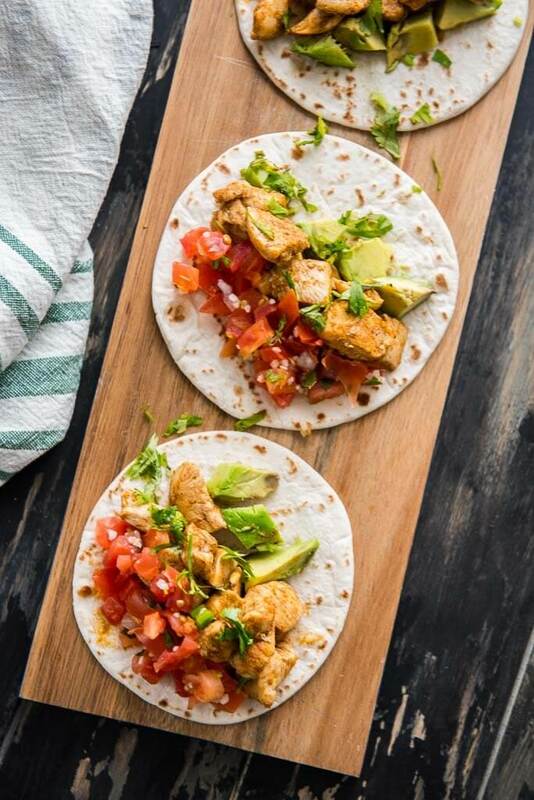 1 TBS cajun seasoning use less for less "kick"
Evenly distribute chicken among tortilla shells. Depending on if you use flour or corn tortillas you may need 8-16 shells. I only use 1 flour shell per taco, if you want 2 soft corn shells per taco you'll need double the amount of shells. Garnish with avocado and fresh pico de gallo or other desired toppings.